rodndtube.com's (OLD) MyPaipoBoards Forums. Reading but no posting on the OLD forums. 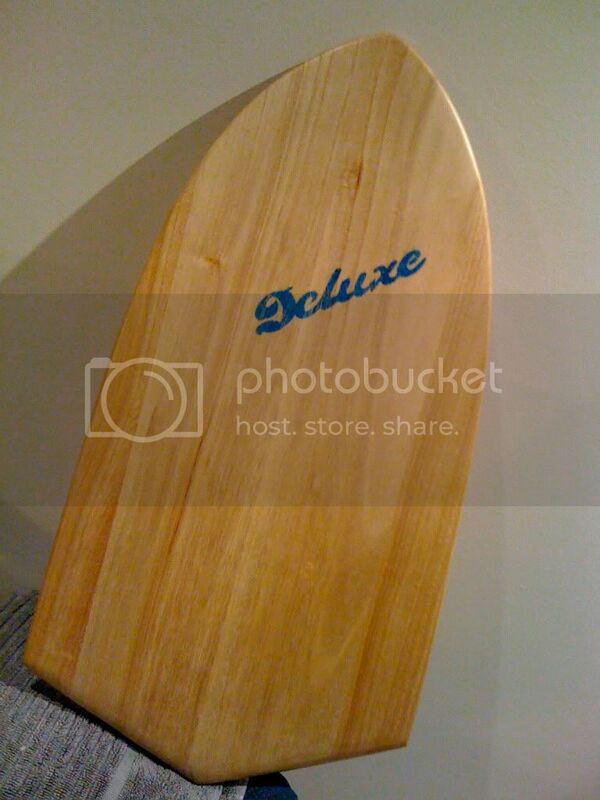 :: View topic - Cubit board for the hollow dumpy summer shorebreaks! 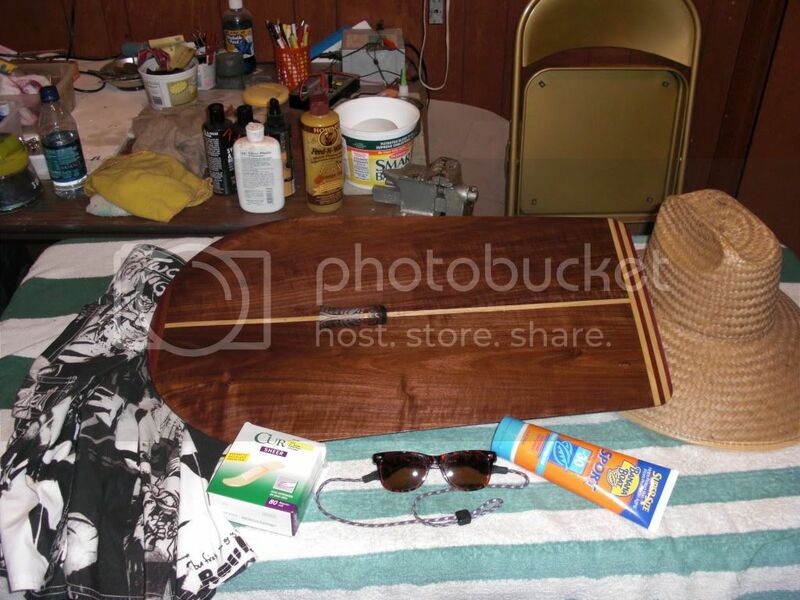 Posted: Sun Oct 10, 2010 4:45 am Post subject: Cubit board for the hollow dumpy summer shorebreaks! I made one of these last spring, and I was amazed at how well it worked. This one is 26 inches long by 16 wide. It has a slight roll through the bottom and hard rails all round. It's like a mini-paipo, or a big handplane. I've heard them referred to as cubit (forearm) boards. They are great for bodysurfing in steep hollow waves. You can take off much deeper, and still have a lot more speed than with a normal handplane. You can also bottom turn and cutback like a paipo board! "It's not a beer-belly, it's a displacement hull"
They sure do! I carry one in the seat pocket in my car for emergencies! This is particularly true w/ cubit board or hand board! My goodness. A great looking board! So it's halfway between a handplane and a paipo; I'd never thought of that possibility. Is it good for big waves? Again the temptation to start a new project... sh#t! Hey Littlefoot! They work great in big waves, but they really shine in fast hollow waves. The planing speed is more like a paipo than a handplane! Kid, love to see photos of you riding it! And no handle/hand grip? Two hands on or just one at a time or... Hold it out front like hand plane or get some body/meat on board? I use mine like and elbow board. One hand on the nose, forearm resting on the board, and the other (outside) hand on the rail, controlling the trim and turning. I hold out quite far in front of me, and use my whole torso (and displacement hull) and legs to shape myself to the wave, more like bodysurfing than like paipo riding! I love using these boards in big clean, close-out waves. I find I can take-off side-slipping into the barrel, and travel an amazing distance, deep in the barrel before it breaks. Then, its just a matter of punching out through the back to avoid getting hammered! SOOOOOOO MUCH FUN! I made several different Royal Egyptian Cubits based on the Pharaoh's forearm...about 20 5/8 inches. I had plans to make some two footers, something I've named the Durban Half Pint. But so far I only shaped one...as a kickboard for Mike's wife. Mike, did you ever varnish that thing? The Durban Half Pint was something that came into my head when I read Bartlett's handbook about the men in Durban riding boards that were half the length of normal bellyboards. There we go...the boxy rail pool version of my interpretation of the Durban Half Pint. The camera lens makes the tail look wider than the nose, but it's really wider near the nose. In Bartlett's pamphlet, he was vague about the half-sized boards ridden by the men of Durban. I imagined the possibility of a traditional board that was either cut or broken in half. 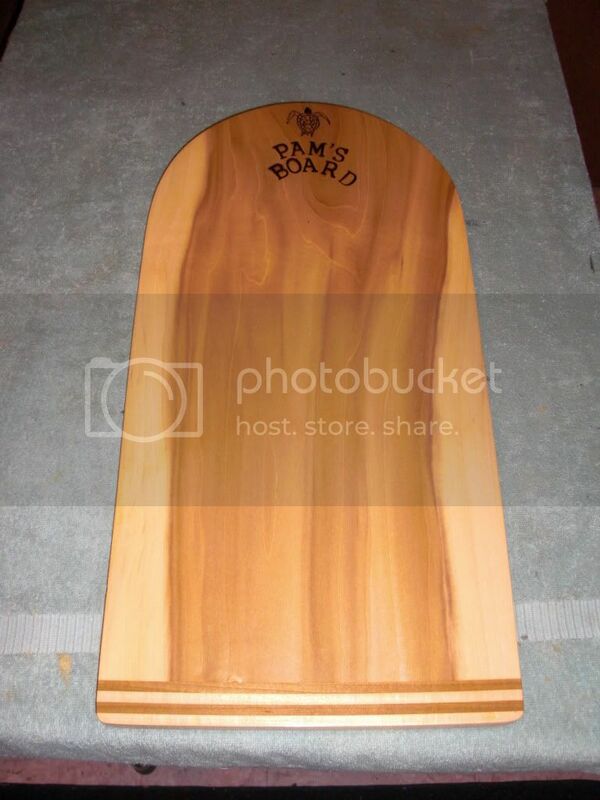 So I just traced around the nose half of an old Penzance board to template Pam's board. Of course someone might have ridden the rockerless back half of a cut bellyboard. Plus there were kid's boards...right? I've seen photos of a couple of Parkins boards that looked about half size. Here's one I made a few years back...about 23" long. Five pieces of wood glued together in such a way that the 1/4" thick stringers are allowed to stick through the bottom of the board for little keels.